Joined by their love of classic gospel music and ‘the source behind’ it, Eagle Rock Gospel Singers (formed in 2010) exist to revive and keep the spirit of gospel alive. They then add to this a modern influence of indie rock, folk and blues to create a unique experience, rarely heard in modern church music. This track is from their latest release – a 3 track EP titled Burn Brightly. Are you wanting to be born again? There’s very limited information about Tim Koller on the internet, but basic searches will show that this is taken from his album ‘Last Days’, released in 1980. Fortunately, this track (but only this track) made it’s way to digital on a Maranatha! Music compilation and so it’s available to download. The 12″ vinyl is also frequently sold online on various sites and for a low price too, so for those with record players the chance to hear the full album is still there. Anyway, enjoy this rare, Christian blues/rock track! 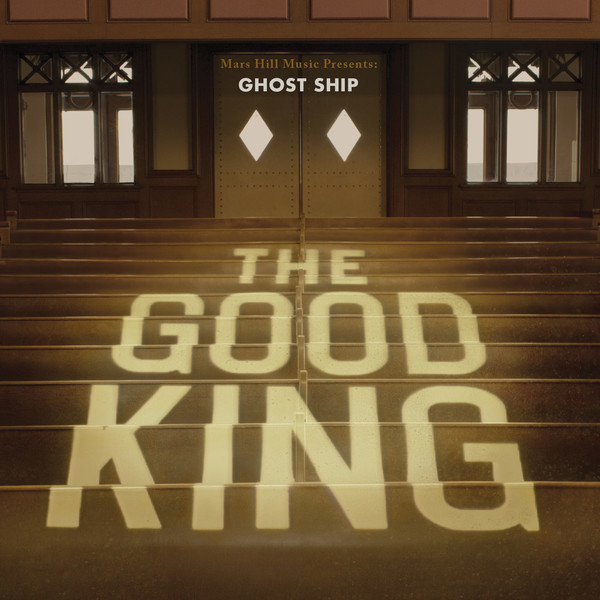 It’s no great secret that I have a soft spot for Mars Hill Music, so naturally I was rather excited when Ghost Ship announced that they would be releasing their first full length album, titled ‘The Good King’. Different in sound to the many other Mars Hill bands, Ghost Ship bring their own blend of alternative rock to the mix. However, at times it seems that they are still somewhat unsure of where they want to be musically placed, leading to a slightly disjointed first listening experience. The album kicks off with the pop infused track ‘Mediator’, written as a sequel to their song ‘One God’ (From their EP, A River With No End). As we’ve come to expect from Mars Hill, the theology in the song is spot on, diving in to deep biblical truths so often missed in a lot of popular romanticist worship music of today and to call it catchy just doesn’t quite do it justice. It’s after this opening track though where I feel that Ghost Ship really come in to their own, leaping from one huge song to the next. This starts with ‘Orion’ which musically wouldn’t feel out of place on a Kings of Leon album. Lyrically, this song also sets the tone for the majority of the album by questioning pain, suffering and doubt but ultimately knowing that God has answered our call and holds us close throughout. It’s this attitude of worshipping through the trials shown in the lyrics of this album that makes it a real challenge and encouragement to the church, and it’s a welcome change to worship music in my opinion. Moving on to the third track and another personal favourite is the epic rock song ‘Lion Man’ which a friend rightly pointed out sounds ironically like Black Sabbath. This focuses on the power of God, and how when Jesus walked among us “He could have killed us where we stood” yet in humility and out of love He instead came to serve us and bear the wrath that we deserved. Epic indeed! It seems that the frontman Cam Huxton’s talents in songwriting lie in theologically rich depictions of what it actually means to live a worshipful life rather than just singing worshipfully. If the overall album feels like the band wrestling to discover their true sound, it seems that they are most comfortable in the less orthodox worship songs like ‘Son Of David’, ‘Orion’, ‘Lamb Of God’ and the most beautiful ‘Where Were You’. In fact it seems rather fitting to use the word unorthodox when describing Ghost Ship – it’s on the more experimental tracks where they seem to find their true style. For example the booming organs at the end of their rendition of the hymn ‘Holy, Holy, Holy’ would be completely out of place with any other worship band, yet seems perfectly natural on this album. This then leads to the indie-pop songs like ‘The Gospel’, ‘Mediator’ and the cover of ‘What A Friend We Have In Jesus’ (though as great as they are) seem slightly unnatural to Ghost Ship’s style, and sounds more like the type of worship I would expect to hear from another Mars Hill band such as The Sing Team. 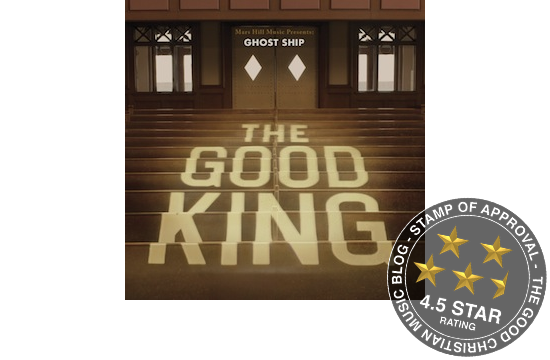 It took multiple listens for me to fully appreciate the excellent offering that Ghost Ship deliver with ‘The Good King’, but even now that I’m there I still feel that the best is yet to come from this relatively young worship band. Despite saying that though this is still a brilliant debut, and though ‘The Good King’ may be a slow grower, I truly believe that over the next few months it will gradually emerge as one of the most exciting worship releases of this year. Over The Rhine don’t like to be classed as a ‘Christian Band’ but they are both Christians and in a band so by that definition they are. The Ohio band Over The Rhine are the married coupling of Linford Detweiler and Karin Bergquist. They aren’t overtly vocal about their faith but in interviews they occasionally discuss it and it certainly shows through in some of their songs. This is a beautiful little blues song, it’s content clearly stated in the title, and although it may be bluesy it still has that sat beside the open fire sound to it. I love a good original Christmas song, especially one which breaks the mould and this does just that in a wonderfully stylish way.